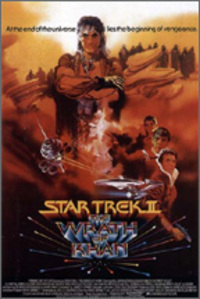 Star Trek 2 – The Wrath of Khan is the second feature film base on the popular TV series. Regarded as the best Star Trek film this one is even enjoyable by non Star Trek fans. Admiral Kirk is in a battle with Khan who seeks revenge on Kirk after being imprisoned by him. The story takes off from a popular episode in original TV series.